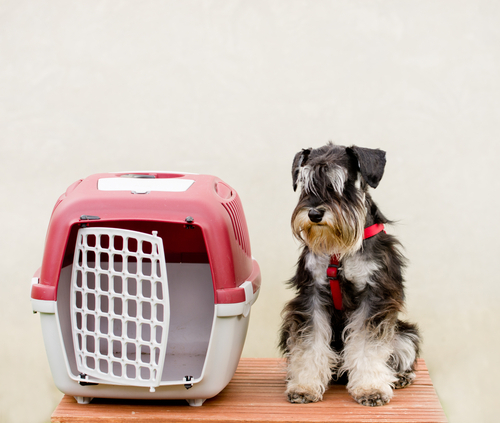 Keeping your pet safe is the most important part of keeping both you and your pet happy. When you first adopt a pet or new breed of pet — or even better, before you adopt them — be sure to research the basics of your pet. When you finally select a pet, talk to the shelter staff about things you might need to worry about or watch out for. Of course, you can always stop by with your pet to discuss behaviors, concerns, or anything else. Below we've got some general notes on basic safety tips, whether indoors or outdoors. Remember that traveling —that's more than a quick jog to the park or a ride across town for a play date— may require some extra steps based on the species of your pet. Traveling at any distance can give some pets anxiety, and there's other physical safety factors to consider. Come by and talk to us about what you may need, especially if you're about to travel abroad! Use childproof latches to secure not only belongings you don't want your pets potentially destroying but also chemicals and other hazardous materials that can be dangerous for your pet to be exposed to or to ingest. Similarly, ensure garbage cans and toilets are securely closed. Keep electrical cords tucked away or otherwise secured so your pet cannot chew on them. This is just as important in the garage as it is behind the computer in your home office. 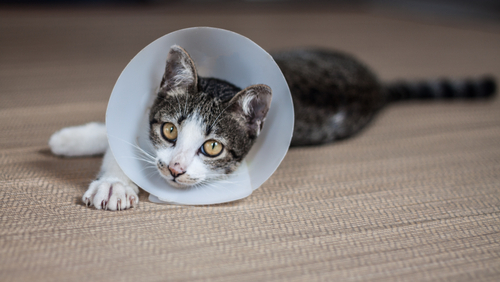 Always check places that aren't normally observed (e.g., under chairs) for items your pet could interpret as toys but present choking or ingestion hazards (e.g., kittens swallowing yarn). Keep drawers closed, especially large drawers in dressers that your pet can hide inside of. Check the drawer before closing it to ensure you don't trap your pet inside. Similarly, if your pets have access to the garage, ensure they aren't hiding in the engine of your vehicle. This can be deadly. Ensure ventilation openings have covers. Small pets could work their way into the ventilation system, and large pets could get stuck trying. Similarly, ensure there's no openings or spaces in the wall behind various appliances. Research whether or not your houseplants can be poisonous to your pet. Just because they aren't poisonous to humans does not mean they won't make your pet sick! Ensure that items with buttons or drawstrings, cosmetics, and medications out of reach and inside a secure cabinet. Ensure your tools (e.g., hammers, screws), craft items (e.g., sewing thread or needle), and cooking utensils (e.g., knives) are put away. Regularly clean pet's food and water dishes (or fountains) to prevent illness from mold and scum. Regularly clean your pet's "bathroom" and restock its materials (e.g., litter). This will minimize accidents around the house. Give your pet a safe space that's just for them and that they can retreat to when they're feeling uncomfortable. This can be something expensive like a cat "super highway" or something as simple as a dog bed that's out of the way. Pet-proof your furniture as best as possible, and ensure you've got pet-appropriate furniture. Leather couches, for instance, won't survive for long with a new cat, and the materials under the leather can be harmful to ingest. Ensure your yard's fence, whether physical or electrical, is in good condition and encloses your yard completely. Don't let dogs or other burrowers dig out under the fence! Always keep your pet in a collar and on a leash / in a body harness when walking with them in an unenclosed area. Only let a dog off its leash in an unenclosed park if it is well trained to return, and to behave around strangers. When traveling in a vehicle, ensure your pet can't escape out the window. Only open the windows if they are properly restrained and never let your pet put their paws out the window. If it's a particularly long drive, be sure to have an appropriate number of stops to allow your pet to use the bathroom. NEVER let your pet ride on the driver. NEVER leave your pet loose or merely leashed in a truck bed while driving. This is not secure enough to protect your pet from being thrown out of the truck into traffic. Ensure your species of pet is allowed at a location, or you have a secure way to safely leave them outside. Always be responsible about following ordinances regarding your pet, such as disposing of dog feces correctly. When enjoying non-residential locations (e.g., camping in the forest) keep your pet from interacting too closely with wildlife. It is dangerous for both your pet and the wildlife. Chat with us more specifically if you're an outdoor enthusiast and want to bring your pet into the wild often. When boating, ensure there's a ramp for your animal to easily board and disembark, a pet-specific life vest, pet-safe sunscreen, a crate for your pet to feel safe in, a means to keep them from falling overboard, and a dog-pad or litter box so they can relieve themselves. Be familiar with pet first aid, and always have any applicable medication on hand. First aid should always be a stop gap to help your pet until you can bring your pet to us or an emergency vet. Please, never abandon your pet! Be aware of your pet's needs in various weather conditions. In summer they may suffer heatstroke. In winter they may suffer lameness from ice building up between the toes or illness from chemicals like antifreeze. Thunder can cause anxiety or acting out. Most adoptable pets have already been given a microchip if they come from a rescue group or shelter. If your pet hasn't got one, whether it's a new one or one you adopted before chipping became prevalent, you should take this extra step for your pet. It doesn't matter if your pet lives exclusively indoors or if it loves the outdoors, microchipping is essential for the safety of your pet. Why? Because it means your pet can always find its way home to you. If your indoor cat slips past you out the door and is picked up by animal control, collar or no collar, your pet is returned to you and not sent to the municipal (not no-kill) shelter. If your outdoor dog is stuck outside when there's a weather disaster and it loses its collar, rescue personnel can eventually reunite you with them. If you lose your lizard while studying abroad, it can still be identified and returned to you. If somehow your pet is stolen, the information on your pet's microchip will help prove the pet is really yours. Having a microchip can also help ensure you're contacted in the event of an accident involving you pet. 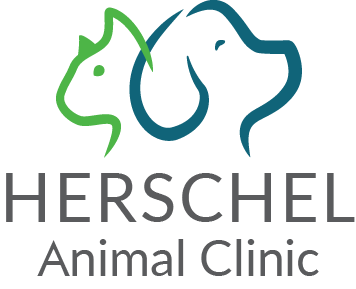 You'll be able to participate in the health care of your pet when you might otherwise not find out they'd been hurt at all. That's a peace of mind we can all appreciate! If you need a pet microchipped, make an appointment with our offices today.